All ferry companies and all but two airlines have stopped importing animals destined for research laboratories. Former science minister Lord Drayson said that without such research "it is not possible to develop new medicines". But animal rights group Peta said 90% of drugs that passed animal trials failed when given to people. 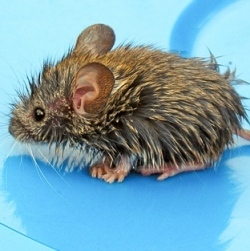 Every year some 15,000 animals – mostly mice – are shipped in from abroad – usually because they have particular traits that make them useful for the study of certain conditions. They account for 1% of the animals used in UK laboratories. Lord Drayson, who was a minister under the last Labour government, said animal research was "regrettably" necessary and that people would "suffer and die" without it. "If we do want to have access to medicines, and I believe that we do – more than 87% of the general public consistently over the last 10 years in polling have said that they support animal research for medical uses. And so unfortunately we do have to do this." However, Alistair Currie from People for the Ethical Treatment of Animals (Peta) said researchers should work harder to come up with alternatives to animal testing. "More than 90% of drugs that pass trials in animals fail when they’re given to people," he said. "They either prove to be unsafe or simply ineffective. "And what we’re actually seeing at the moment is over the last 15 years or so the number of animals tested is going up but the number of drugs coming out at the other end are actually going down." The BBC’s Tom Fielden says animal rights campaigners have been jailed for taking direct action against laboratories in the past and more recently have focused on creating bad PR. He says this has included letter-writing and web-based campaigns against transport companies, which appear to have had an effect.